The X155R combines dependability, durability and power in every aspect of its construction, including a fully-welded steel frame and a cast-iron front axle. It is an automatic rear collection machine providing a perfect finish. Operating the mower is a breeze, too, with an ergonomic operator station, quality headlights, and an infinite choice of ground speeds. Easy to Own. Easy to Operate. Easy to Maintain. 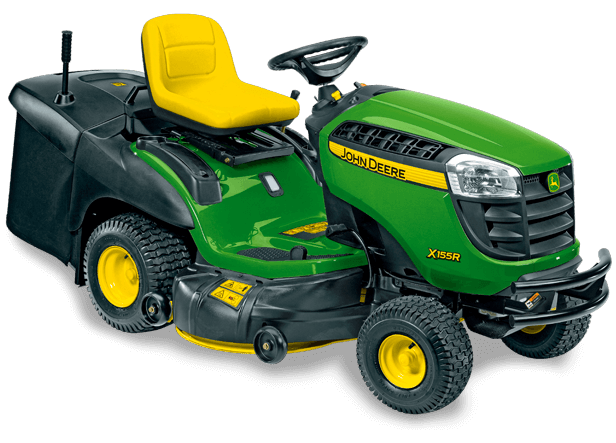 The X155R Lawn Tractor.